Flowers lillies, chrysanths, roses, lisianthus. Colours Pinks, greens and reds. 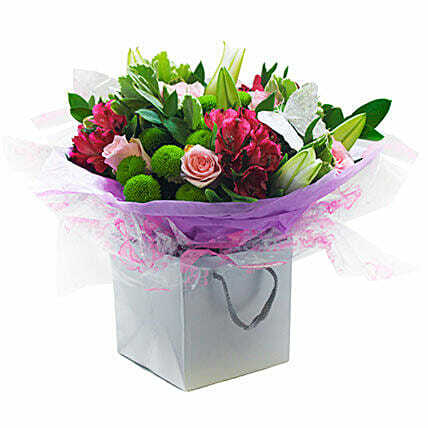 Arrangement style Handtied in water delivered in gift bag packagaing.